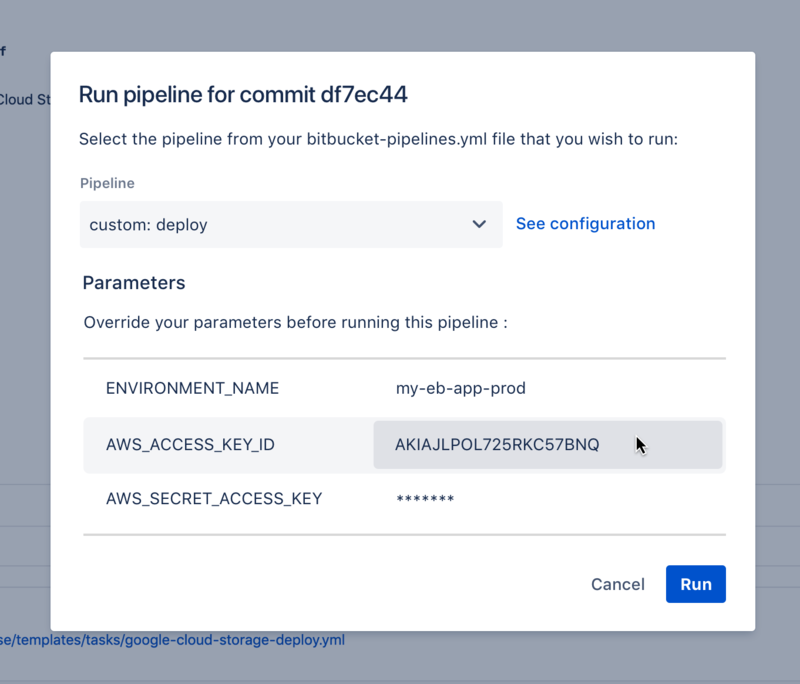 I have a request regarding Bitbucket Pipelines. If I push to branch-A, I want to run tests using branch-A envs. If I push to branch-B, I want to run tests using branch-B envs. I have tried the following but it would revert the env to whatever env I set from the Repository Envs. Basically on a new step, whatever ENV I set in the previous step gets reset. I will create an issue in the public issue tracker. Right now what I am doing is creating duplicate steps that all do the same thing (build, test) but just changes the ENV in the beginning, which isn't a huge issue. It just would be nice to be able to reuse steps instead and just switch out the env. Let me know if this is something that suits your use case. I'm going to close this issue for now given the lack of a response. Please feel free to reopen this ticket if it's something that you're still interested in.